This time of year when we're in the deep freeze, we need to smell some flowers - and garden shows soon to open statewide can bring the scent of nectar to our nostrils. The 2017 garden show season officially launches with the opening of the Colorado Garden & Home Show at Colorado Convention Center February 4. If you're suffering from Seasonal Color Deficit Disorder, then the sight of flowers in bloom might help you survive 'til petunia-planting time. These shows also allow us to preview new trends we might want to bring home to our landscapes, patios and gardens. 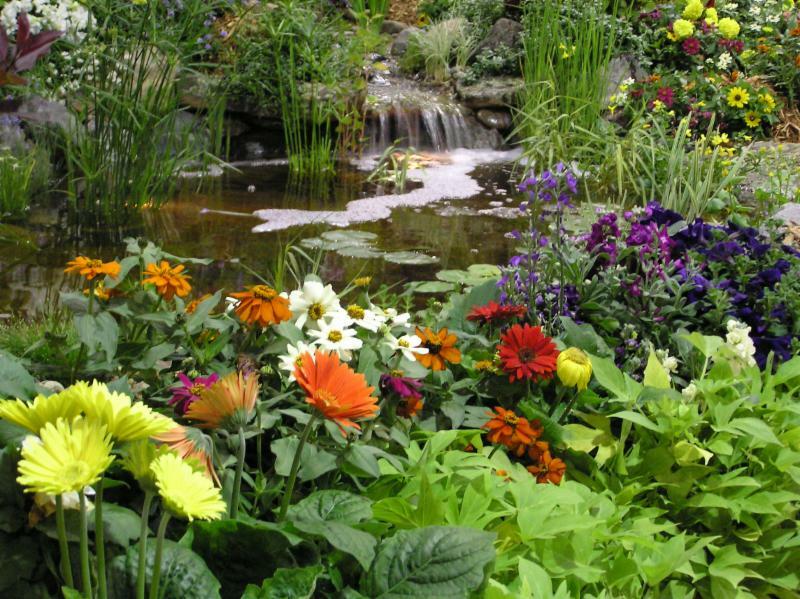 Here are 4 tips to help you get the most from your trips to local garden shows. Walking through the door to see hundreds of exhibitors feels overwhelming--especially if your time is limited. Do your homework online ahead of time based on what you really want to see. The list of exhibitors by category and show floor plan can help you map out your route so you have a plan when you enter. Are you attending with a mission in mind? If you are on a hunt to see new trends in outdoor lighting or fire pits, designate those booths as your top priority. Make these exhibits your first stops because you may end up in lines waiting to speak with someone. While you're queued up, let their display speak to you. Do they show credentials such as "certified," list industry affiliations or other third-party endorsements? If their booth conveys a sense of quality, hold your place - but if not, move on to your next stop. Pay attention to clues that indicate the person with whom you are speaking is the expert he/she claims to be. Do they answer your question with another one to find out more about your needs? Real experts often do that because they know a good answer may depend on several factors. Pat answers can be shallow and not very helpful. If they say, "I don't know," that may be a sign of integrity more than stupidity. Write down the advice you receive from different exhibitors. At the end of the day, it's likely you won't remember who said what. When you take a few notes, you will be able to compare and contrast all the advice later and that will help you decide which companies you want to contact again. Before you leave, make sure you've taken plenty of time to stroll by the gardens and smell the roses. Enjoy your first drink of spring! The final numbers are in for 2016. The overarching headline is that 2016 turned out to be a record year in real estate, recording the highest home prices ever in Colorado and the highest volume of real estate sold. The market is carrying a lot of momentum into 2017. Reality – Inventory became even tighter in 2016. Despite occasional signs that the supply of homes for sale was trending upward, each increase in listings was absorbed quickly by strong demand, bringing inventory back down. We started the year at 2.1 months of supply along the Front Range, fell to 1.9 months in February, and remained below 2 months for the rest of the year, ending at 1.3 months amidst a market more active than usual in December. Keep in mind, 5 to 7 months of supply is considered a balanced market, anything less favors sellers. While the overall supply levels remain low, we are seeing pockets this winter where listings are sitting on the market a bit longer, giving buyers more negotiating power, and causing prices to flatten out. This presents a good buying opportunity before the expected spring frenzy arrives. Reality – Sales volume across all Front Range markets was up 3.4% in 2016 compared to 2015, a bit lower than the 5% to 10% increase predicted. The headwinds caused by the lack of inventory proved to be a bit stronger than expected. Many ready, willing, and able buyers tried to purchase in 2016, but couldn’t find a home or lost out to better offers. Fortunately, a large percentage of those buyers are still actively looking. Many are finding that new construction homes coming online is the answer to the inventory shortage. Reality – Colorado home values increased 10.3% in 2016 according to the latest data from Zillow. The Core Logic Home Price Index pegs Colorado appreciation at 8.8%. In Douglas County, home values are up 5.2% according to Zillow, while Arapahoe County values are up 11.0%. Although lower than actual 2016 appreciation, the prediction of 6% to 8% was quite aggressive at the time. Many so-called experts were predicting much lower appreciation rates. Zillow, for example, predicted 2016 appreciation of 3% to 5% for major Colorado metro areas. We all knew the market would be hot in the spring. The surprise was that prices kept rising through the end of 2016, hitting new all-time highs each month. Our overall prediction for 2016 was “a strong real estate market.” There is no question it was a strong market, and we will happily accept a cumulative grade of A- for our 2016 predictions. 2017 is off to a fast start. Rising interest rates and less frenzied winter market conditions are causing many buyers to get off the fence and get busy. Investors are also jumping on attractive rental property opportunities, and sellers are already prepping their homes for the spring market. You know the importance of keeping track of what might be your biggest financial investment – your home – but how can you keep track from month to month as you do with your other investments? Starting this month, let us look at a question we hear often: What is my house worth? With a few statistics about your particular geographic area such as the average sales price, months of inventory and the percentage of original list price, you can estimate what your home is worth right now and how fast it might sell when the time comes to move-up or downsize. If you are on the buying side of the equation, these numbers can give you an idea of what you will need to bring to the table as a savvy buyer. Even though December is a slow month for home sales with the holidays, the low months of inventory keep us solidly in a seller’s market. Spring is right around the corner with more inventory. *Rolling average sales price is used to even out the spikes in home prices. Even in the cold, snow and dreariness of January, there's actually a lot of seasonal color and interest to capture the eye outside. It may not be in your yard - but it could be! Take time to look around when you're outside walking the dog or driving. Pay attention to what draws your eye in neighbors' yards or in the park. The colors of winter are subtle - but there are other aspects to enjoy that you won't see in July when the petunias are in your face. Winter gives unusual textures against the backdrop of snow. It also offers movement and shape. Even if you don't know the plants you're looking at, take pics with your phone of what you like best. You can ID the plants later with a pro - and make them your wish list for what you'll plant later this year. Which colors catch your eye? There's the standard green of evergreen pine and spruce trees and many low-growing juniper. Other shades of green show up in broadleaf evergreens like euonymus and groundcovers such as tanacetum. 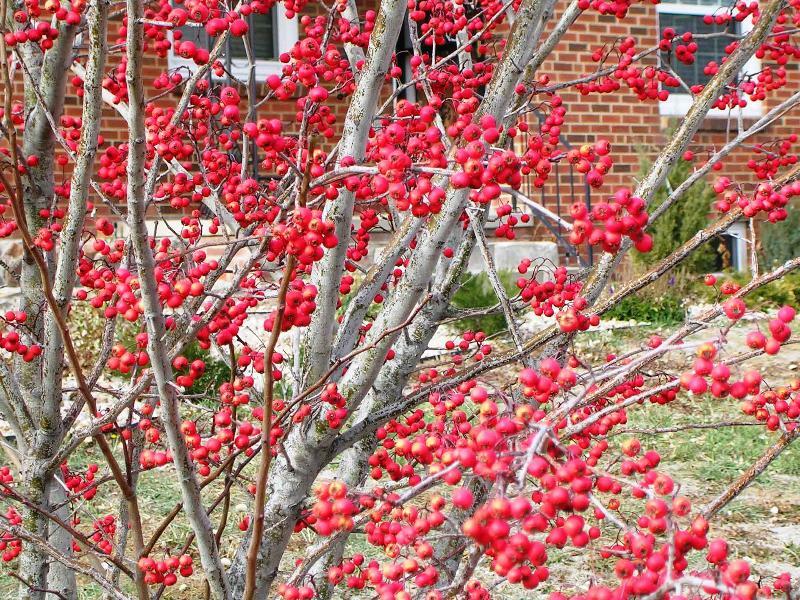 You will need to look hard for bright colors, but they will show up in red berries of hawthorn trees or bare stems of yellow and red dogwood against the snow. Photograph what you like that's not in your yard now. Look for unusual shapes and texture. Details, like the bark on trees overlooked during the growing season, are among nature's standouts in winter. Notice the exfoliating bark of river birch. Shrubs like St. John's wort offer color and texture when dried leaves and seeds cling to colorful stems. Even small dried pods of Echinacea plants add texture in the winter garden and food for wildlife foragers. Without their leaves, some trees like the Kentucky coffee tree transform into a craggy silhouette. They are Mother Nature's sculpture seen only in winter. Snap a pic of what appeals to you. Create movement. In the gusty winds of winter, tall ornamental grasses offer interest through movement - especially when grouped in large clumps. Pampas, maiden, feather reed and native bluestem grasses are good choices to add motion to the landscape. Shoot a video on a breezy day so you can add similar sway in your yard. The winter-scape will never be as eye-popping as a sea of pink petunias, but it's not supposed to be. Winter is nature's season of rest and rejuvenation and its beauty echoes all that's quiet and subtle. Look around to see what will make your winter yard better than boring and make it a spring planting project.